Santa Cruz, CA, USA (September 24, 2014) — “More than Anything,” Aliza Hava’s (pr. 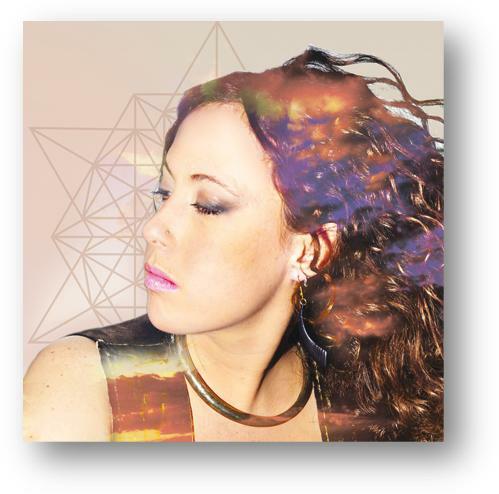 aleeza hah-vuh) newest release, is going for radio adds worldwide on Thursday, September 25, 2014, released to Global Radio via “Stephen’s Indie Picks.” Hava is definitely not your typical singer/songwriter. A breathtaking performer, her lyricism explores the deeper levels of love, life and the importance of positive social change. “I’ve seen fifteen thousand performers, and Aliza Hava is in the top one percent.” – Brian Austin Whitney, Founder, Just Plain Folks. To hear “More than Anything” and request an interview with the artist, please visit http://www.alizahava.com. Hava is a recipient of the 2014 ‘Human Spirit Award’ presented by Talent for Humanity, an international organization bringing light to individuals who dedicate their talents towards transforming societal realities for the common good. She has appeared at Madison Square Garden, The Apollo Theater, New Orleans’ House of Blues, Mountain Jam and music festivals internationally. She’s shared the stage with celebrated artists such as Michael Franti, Dr.John, Derek Trucks, Matisyahu, Tab Benoit & the Voice of the Wetlands, Jefferson Starship, Kevin Costner & Modern West and Woodstock legend, Richie Havens. “So frickin’ astonishing in every way, this chick is a powerhouse. She’s what you’d call a Sister, like Ani DiFranco or Julia Butterfly Hill…” – The Hudson Valley Chronogram. Edgar Perez, former McKinsey and IBM consultant, is a global expert, author of The Speed Traders, Knightmare on Wall Street, and the course director of The Speed Traders Workshop 2014 Singapore, “How Banks, Hedge and Mutual Funds and Brokers Battle Markets ‘RIGGED’ by Wall Street’s ‘Flash Boys’, High-frequency Trading, Exchanges and Dark Pools”. New York, NY, USA (September 19, 2014) — A few months ago, markets witnessed the IPO of Weibo, China’s Twitter-like microblogging service; back then, Mr. Edgar Perez, course director of The Speed Traders Workshop 2014 Singapore, proclaimed the firm’s best days were still ahead. With 129 million monthly active users, 300 million registered users and 400,000 brand pages, Weibo remained the strongest social media service for the biggest country in the world. Following their successful April debut, Chairman Charles Chao said that in retrospect their IPO, at $17, was priced too low. However, that proved beneficial for those investors who decided to hold; they are still able to sell at $21. Demand for Alibaba’s shares appears strong ahead of its expected IPO this Friday. Alibaba said it planned to price its shares at $68, an increased level that would give it a valuation of about $165 billion. There is no doubt the company is a global leader in the e-commerce sphere handling a number of transactions higher than Amazon and eBay combined. However, is that still a good price for retail investors considering the bump that will follow the beginning of trading? Further clouding the picture, it has been revealed that a number of early investors in Alibaba would be able to sell more than $8 billion worth of shares on the day the Chinese e-commerce company goes public. As The Wall Street Journal reports, insiders and other investors in companies staging initial public offerings are generally required to hold on to shares for several months, in “lockup” arrangements banks design to help protect the stock’s price in its early days. More than 40 investment firms have asked for more than $1 billion. However, in Alibaba’s case, a number of shares equal to about a third of what could be sold in the deal aren’t covered by such restrictions, according to the company’s public filings. Mr. Perez is questioning why would insiders, the people who are expected to know the company upside down, want to rush to unload their shares if BABA promises to be such a great investment. Mr. Perez is course director of The Speed Traders Workshop 2014 Singapore, “How Banks, Hedge and Mutual Funds and Brokers Battle Markets ‘RIGGED’ by Wall Street’s ‘Flash Boys’, High-frequency Trading, Exchanges and Dark Pools”, seminar that covers the latest research currently available and reveals how high-frequency trading players are operating in global markets and driving the development of electronic trading at breakneck speeds from the U.S. and Europe to Japan, India, and Brazil. The “flash crash”, the suspended BATS IPO, the botched Facebook IPO, Knight Capital’s trading malfunction and Nasdaq’s Flash Freeze are just a few of the milestones in the history of high-frequency trading that will be dissected with participants. Mr. Perez is widely regarded as the preeminent global expert and speaker in the specialized areas of algorithmic and high-frequency trading. He is the author of The Speed Traders, published in English, Chinese and Bahasa Indonesia, and Knightmare on Wall Street. He contributes to The New York Times, UltraHighFrequencyTrading.com and China’s International Finance News and Sina Finance. New York, NY, USA (September 19, 2014) — October seems to bring a lot of surprises for citizens of the Lion City. On October 24, 44-year-old Mariah Carey will perform in Singapore; she has been in showbiz for more than 25 years and has sold more than 220 million albums. Just the day before, October 23, 40-year-old author Edgar Perez will present The Speed Traders Workshop 2014 Singapore, “How Banks, Hedge and Mutual Funds and Brokers Battle Markets ‘RIGGED’ by Wall Street’s ‘Flash Boys’, High-frequency Trading, Exchanges and Dark Pools”. Perez’s The Speed Traders Workshop 2014 Singapore (http://www.thespeedtradersworkshop.com) will cover the latest research currently available and reveals how high-frequency trading players are operating in global markets and driving the development of electronic trading at breakneck speeds from the U.S. and Europe to Japan, India, and Brazil. The “flash crash”, the suspended BATS IPO, the botched Facebook IPO, Knight Capital’s trading malfunction and Nasdaq’s Flash Freeze are just a few of the milestones in the history of high-frequency trading that will be dissected with participants coming from all corners of the financial services landscape. 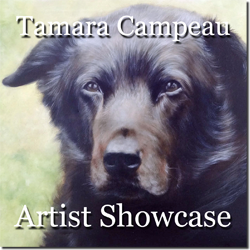 Light Space & Time Online Art Gallery is very pleased to announce that Canadian wildlife artist Tamara Campeau is the gallery’s newest featured artist. Jupiter, FL, USA (September 15, 2014) — Light Space & Time Online Art Gallery is very pleased to announce that Canadian wildlife artist Tamara Campeau is the gallery’s newest featured artist. Tamara will now be featured and be widely promoted by the gallery. Tamara Campeau was originally born in the sunshine state of Florida. Not too long after she immigrated to Quebec, Canada with her mother. What Tamara loved most in life was animals and art. Till this day, these two loves are still very present in her life. Tamara attained a technical degree in Illustration & Design in 2008. During and following her college studies Tamara would do commissioned paintings which consisted mostly of dogs, cats and portraiture of people. In terms, of personal work, Tamara enjoys depicting nature’s greatest creation, wildlife. In general she is very observant of everyday life where then she tries to incorporate this in her work. She has been painting for 10 years, at first in acrylic, but she has now been painting primarily in oil for the past seven years. When bringing life to her creations she emphasizes detail and textures to draw on the emotions of her audience through the eyes of her subjects. Tamara considers herself to be a self-taught painter because throughout her studies, painting was not really taught to the students and even then it was only in acrylic. Tamara’s artworks has achieved special recognition and awards of merit from international art gallery contests. Tamara inspiration is fuelled by the work of Canadian artist Robert Bateman and illustrator David Colman. Her website: http://www.tcampeaupaulson.com. New York, NY, USA (September 16, 2014) — Wall Street’s biggest high-frequency trading spokespeople are taking more fire lately from proactive regulators seeking to eliminate “abuses” in the controversial HFT markets. For instance, one HFT group that executes stock orders on high-speed platforms is trying to enlist experienced Washington players to defend its practices in the corridors of power. Regulators are circling the wagons indeed. BATS Global Markets is said to be nearing a regulatory settlement over allegations it unfairly favored certain high-speed customers. This follows the abrupt departure last month of its CEO, Bill O’Brien, of CNBC fame. At the same time, New York Attorney General Eric Schneiderman and the SEC are pressing forward as some of the biggest dark-pool operators, including Goldman Sachs, Morgan Stanley, Credit Suisse and Barclays, are caught in the crossfire. According to Mr. Edgar Perez, sophisticated regulation is necessary in Asia to avoid controversies as the ones mentioned above. Mr. Perez is the course director of The Speed Traders Workshop 2014 Singapore, “How Banks, Hedge and Mutual Funds and Brokers Battle Markets ‘RIGGED’ by Wall Street’s ‘Flash Boys’, High-frequency Trading, Exchanges and Dark Pools” (http://www.thespeedtradersworkshop.com). This seminar covers the latest research currently available and reveals how high-frequency trading players are operating in global markets and driving the development of electronic trading at breakneck speeds from the U.S. and Europe to Japan, India, and Brazil. The “flash crash”, the suspended BATS IPO, the botched Facebook IPO, Knight Capital’s trading malfunction and Nasdaq’s Flash Freeze are just a few of the milestones in the history of high-frequency trading that will be dissected with participants. Knightmare on Wall Street, the fascinating story of Knight Capital put together by course director Edgar Perez, was the most favorably reviewed Kindle edition book on Amazon in 2013, with an average rating of 5 out of five stars. Knight Capital had seen its fortunes change as U.S. regulators made a series of changes in the structure of financial markets and computers were progressively expanding their share of trading. The Flash Crash, the notorious 1,000 point drop of the DJIA on May 6, 2010 (the largest one-day point decline in history), illustrated how market structure problems could almost instantaneously cascade from one market participant to the rest. Mr. Perez is widely regarded as the preeminent global expert and speaker in the specialized areas of algorithmic and high-frequency trading. He is also author of The Speed Traders, An Insider’s Look at the New High-Frequency Trading Phenomenon That is Transforming the Investing World, published in English, Chinese and Bahasa Indonesia. He contributes to The New York Times, UltraHighFrequencyTrading.com and China’s International Finance News and Sina Finance. T5 Begins Construction on Silicon Forest’s Most Advanced Wholesale Colocation Data Center to Accommodate Growing Demand for Business-critical Computing in the Pacific Northwest. Hillsboro, OR, USA (September 16, 2014) — T5 Data Centers™, innovators in providing state-of-the-art, customizable and highly reliable computing support environments for any enterprise, today announced that the company has broken ground on T5@Portland, a two building wholesale colocation data center campus in suburban Portland. The company is also pleased to announce that a Fortune 100 company has already leased T5@Portland’s first building. T5@Portland is the first purpose-built, state-of-the-art data center campus to be constructed in the Silicon Forest. The new data center campus will consist of two separate buildings; one of which has already been pre-leased. The second building will be a 110,000 square foot, nine (9) critical megawatt data center and pre-leasing is already underway for this facility. The T5@Portland data centers should be ready for occupancy in early summer 2015. Like T5’s entire portfolio of data centers, T5@Portland’s facilities are purpose-built and offer server-ready IT solutions capable of housing multiple independent data center tenants. T5@Portland is being constructed to LEED Silver specification, and will take advantage of the coastal Pacific Northwest climate to offset cooling costs and maximize power usage effectiveness (PUE) of the data centers. The T5@Portland data centers will also have extremely reliable power from two redundant power feeds into the facility and are being designed as high-performance, highly efficient, seismic secure, purpose-built data centers. In addition to its technical specification, T5@Portland tenants will be able to take advantage of the favorable business and economic climate of Oregon, and specifically the City of Hillsboro. The area offers a number of economic incentives, including tax exemptions to stimulate e-commerce and technology companies, including significant sales and property tax benefits. With the combination of low-cost infrastructure, attractive economic incentives, flexible control over customer operational space, and guaranteed power, T5@Portland promises to be one of the most attractive corporate data center colocation options in the Pacific Northwest. T5@Portland is one of seven sites across the United States within the T5 Data Centers portfolio, all designed with the same attention to reliability and service. Each data center is purpose-built to give customers total control of their own dedicated data hall so T5’s customers can better manage their Total Cost of Occupancy. T5 Data Centers (T5) is a leading national data center owner and operator, committed to delivering customizable, scalable data centers that provide an “always on” computing environment to power mission critical business applications. T5 Data Centers provides enterprise and wholesale colocation data center services to organizations across North America using proven, best-in-class technology and techniques to design and develop facilities that deliver the lowest possible total cost of operations for its clients. T5 currently has business-critical data center facilities in Atlanta, Los Angeles, Dallas, and Charlotte with new projects announced in Portland, New York, and Colorado. All of T5’s data center projects are purpose-built facilities featuring robust design, redundant and reliable power and telecommunications and have 24-hour staff to support mission-critical computing applications.